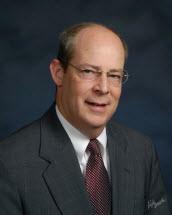 Steve Buckley specializes in the trial of civil lawsuits and has tried numerous high exposure cases to jury verdict. He has represented Class I Railroads and Shortline Railroads in Federal Employers’ Liability Act, Trespasser, Crossing Accident, and Third-Party Liability lawsuits for over 25 years. Steve has worked as a trial attorney & Assistant General Solicitor for a Class I Railroad, handling multiple facets of railroad litigation. Steve has been named a Top Rated Civil Litigation attorney by Super Lawyers. He has also been selected for inclusion in Best Lawyers in America for his work in Railroad Law. He is a member of the National Association of Railroad Trial Counsel and served as a Board Member of the Missouri Organization of Defense Lawyers from 2007-2013. Steve has also served as an Adjunct Professor of Law for Trial Advocacy II at St. Louis University School of Law from 1989 to 1991.